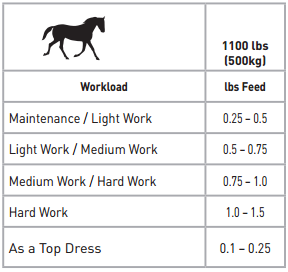 Feeding Directions: Comfort Mash is a complementary feed for horses and ponies to be fed with forage, fresh water and free-choice salt. Can be top dressed on to feed or fed alone. Mix with one part water to one part Comfort Mash and soak for 15 minutes.